VariTech Industries is a leading innovator in the production, storage and application of liquid solutions to fight snow and ice…making clearing roads faster and safer for drivers. Use 30% LESS Salt with liquid application. 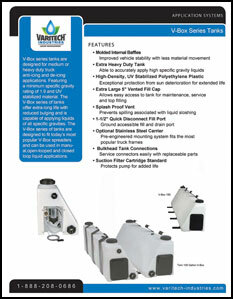 V-Box Series of tanks are designed for medium and heavy duty truck anti-icing and de-icing applications. Featuring a minimum specific gravity rating of 1.9 and U.V. stabilized material. The V-Box series of tanks offer extra -long life with minimized bulging and are capable of applying liquids of all Specific Gravities. 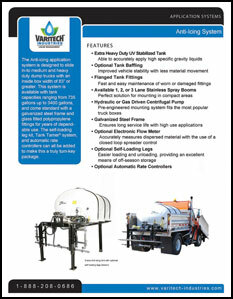 The V-Box series of tanks are designed to fit today’s most popular V-Box spreaders and can be used in manual, open-loop and closed look liquid applications. 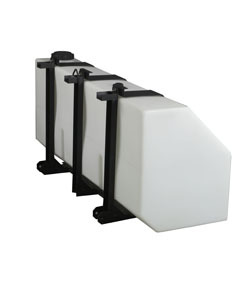 A variety of sizes available up to 300 gallons. The anti-icing / de-icing application system is designed to slide in-to medium and heavy duty dump trucks with an inside box width of 83” or greater. 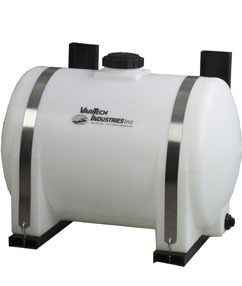 This system is available with tank capacities ranging from 735 gallons up to 3400 gallons, and come standard with a galvanized steel frame and glass filled polypropylene fittings for years of dependable use. The self-loading leg kit, Baffle Ball system, and automatic rate controllers can all be added to make this a truly turn-key package. 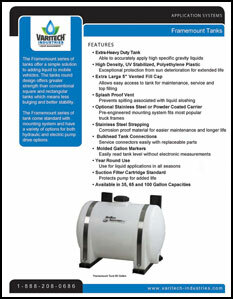 The Framemount series of tanks offer a simple solution for adding liquid to mobile vehicles. 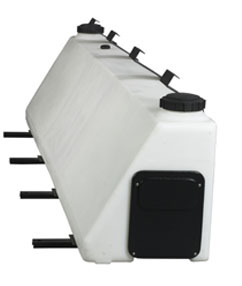 The tanks round design offers greater strength than conventional square and rectangle tanks, less bulging and greater stability. The Framemount series of tanks come standard with the mounting system offering a variety of options for both hydraulic and electric pump drives. 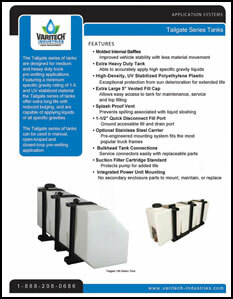 Available in 35, 65, and 100 gallon capacities. 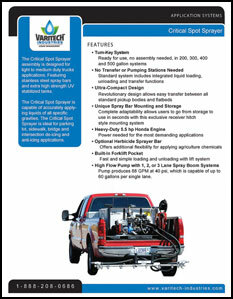 The Critical Spot Sprayer assembly is designed for light to medium duty truck applications. Featuring stainless steel spray bars and extra high strength U.V. stabilized tanks. 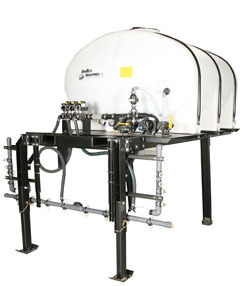 The Critical Spot Sprayer is capable of accurately applying liquids of all specific gravities. 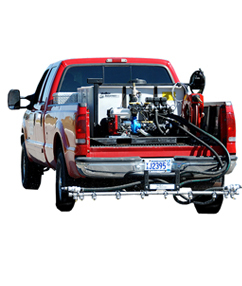 The Critical Spot Sprayer is ideal for parking lots, sidewalks, bridges and intersection de-icing and anti-icing applications.